Whenever there is an upsurge in violence in Israel and the Occupied Territories, be it the genocidal bombing of Gaza or the shooting on sight of Palestinians or just extra-judicial executions, you can rely on the BBC to ensure that only the Israeli side of the conflict is told. 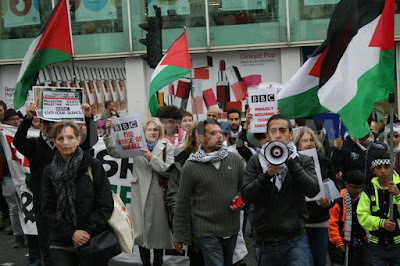 No matter what the atrocities, whether it is phosphorous bombs, attacks on journalists or even attacks on hospitals, the BBC will ensure that only the version of the war criminals gets put over. For example there was the recent attack on the press. If it had happened in Russia or Venezuela it would have been a big story. In the Occupied Territories? The BBC didn’t touch it. 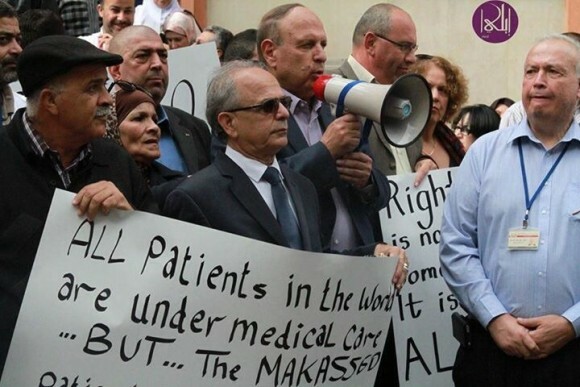 Then there was the attack on the Makassed hospital in East Jerusalem. Again the BBC didn’t go near the story. 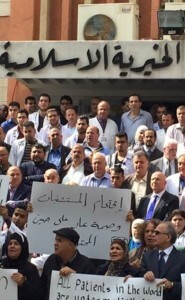 Instead it linked to another news outlet Jerusalem Hospitals Pressured to Give Up Injured Palestinian 'Terrorists' . The BBC no longer even links to this story. 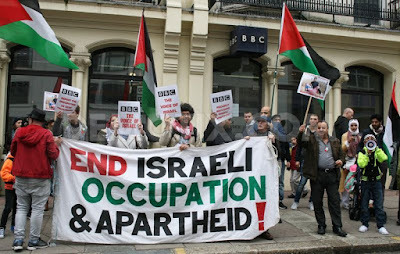 On October 20th there was, even by the BBC's abysmal standards, a truly amazing dialogue between the overtly pro-Zionist presenter for the Today programme, John Humphries, and Kevin Connolly, someone who passes for a BBC Middle East correspondent. Below is the dialogue between them and below that is my complaint to the BBC and my appeal against the first stage decision. Rather than comment further I shall let you be the judge. Transcript 20.10.15. Today Programme 6.39 a.m.
Kevin Connolly: It’s a very difficult question part of the problem is that media organisations begin asking that question very early in these upsurges of violence. Whatever we call it, it’s an extraordinarily difficult situation for the Israeli government to deal with because its own people look to it for security. That very random and spontaneous nature of the attack has left many Israeli citizens feeling that any Palestinian passing them in the street might be carrying a knife, might be planning to attack them and any passing car might at any moment be used as a vehicle against Israeli civilian pedestrians. So although it’s not at all at the level of critical mass of violence that you would need to use the word Intifada, it doesn’t have the leadership perhaps that an Intifada might require it has achieved an extraordinary change in the atmosphere of daily life here, hence the political urgency for the Israeli government. Grounds for Complaint by Tony Greenstein 20.9.15. 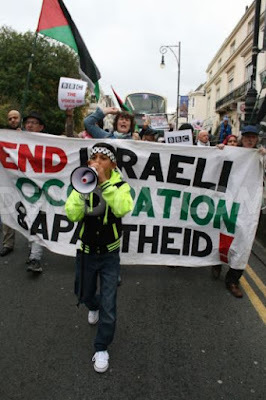 Humphries interview with Kevin Connolly re violence in Israel. Mentions 50 dead but not that 40 are Palestinians. No mention mob violence against Palestinians or murder of Fadi Alloun, chased by lynch mob, executed by Police. No background to events eg firebombing of Dawabshe family in Duma. 3 dead. No prosecutions - culprits known. No mention that West Bank is Occupied. No mention of 'Death to Arabs' marches in Jerusalem. And no mention of murder of Eritrean refugee last night though other reporters picked it up. All of these are documented by video footage Connolly doesn't report. i. An occupation for 48 years. ii. settler violence that is abetted by Military. iii. That this is not a question of law and order but one where the law is in the hands of one party which deprives the other party of basic human rights. iv. Israel is in breach of perpetual breach of international law. v. The attack by Police on the Al Aqsa mosque and the Temple Mount Institute and similar messianic groups which openly call for the Mosque's demolition, its replacement by 3rd Temple. Groups r funded by Israeli gov. 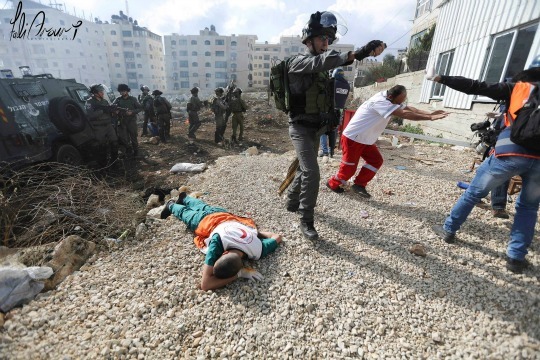 Connolly mentioned Hebron, where violent settlers repeatedly attack Palestinian civilians. No mention of death of Hadeek al-Hashlamon last month killed by army. The first BBC response was a standard response, which didn’t address any of the particulars of the complaint. We have tried to explain how the current situation has come to pass from the Israeli and Palestinian perspectives. This has included reporting on the tensions around the holy sites in occupied East Jerusalem, the building of settlements and on the daily realities faced by Palestinians living under occupation. We have explored the apathy held by many Palestinians toward the impasse in reaching a lasting peace settlement, and on what many see as Israel’s unwillingness to end the occupation which would see the creation of an independent and sovereign Palestinian state. After I had pointed out that this was unsatisfactory I was sent a second, equally unsatisfactory response. Thank you for contacting us regarding the BBC Radio 4 'Today' programme on 19 October. I've taken a look into this and note your original complaint to us along with our response - we apologise for the initial misunderstanding. “We’re sorry you didn’t enjoy Kevin Connolly’s discussion with John Humphrys on Monday morning. Having listened back to it, we don’t agree with your interpretation of the exchange. Kevin was reporting on the security situation inside Israel. The attack at Beersheba bus station attack was the latest in a serious of attacks by Palestinians in Israel. We talked about the attacks and the security measures being taken to counter them by Israel security agencies. There was also discussion of the random nature of this violence. John started by saying “Yet another attack on Israelis last night” but as this was one of a number of similar attacks recently so I think that is fair. At no point did either John or Kevin say that it was solely Israelis dead in this period of violence. Again, the report was about the internal security situation in Israel and the political problems it was causing the Netanyahu government. In that context it is legitimate to discuss how scared this latest violence is making Israeli citizens. Kevin states that the most of the motives are unknown, because in the context of recent history, they are. This nature of these attacks, and the fact the attackers often die in the attacks mean they cannot be investigated, therefore the precise motivation is unknown. We think anyone listening to the piece will understand that Kevin was talking about why this form of violence is happening now. The wider causes and context of the Israel/Palestinian conflict are frequently discussed across the BBC. We hope you now find this satisfactory and thank you once again for taking the time to contact us with your concerns. All complaints are sent to the relevant news teams and to senior management, I've included your points in this report. This is a daily report of audience feedback that's circulated to many BBC staff, including members of the BBC Executive Board, and other senior managers. This helps inform their decisions about current and future programmes. I have now made a second stage appeal (below) to the Editorial Complaints Unit. I won’t be holding my breath! I wish to appeal against the dismissal of the complaint which I submitted to you on 20th October 2015 concerning John Humphries conversation with Kevin Connolly on the upsurge in violence in Israel. Despite being assured by Alison Wilson, the Complaints Manager for the Editorial Complaints Unit on 22nd October 2015 that ‘BBC Complaints will establish whether there is anything further to be added to the response that has been given, and advise the complainant on the appropriate path for escalation.’ I was not advised on the appropriate path for escalation. Given your failure to follow your own procedure I will now submit this to ECU and trust there will be no further attempt to delay considering an appeal. Given the cursory treatment to date, please also advise of any further escalation that will be necessary if the complaint is treated the same as at the first stage. I didn’t enjoy the repartee between John Humphries [JH] and Kevin Connolly [KC]. It told me nothing and its bias was self-evident. This precisely sums up what my complaint is about. What actually happened at the Beersheba bus station was not just an attack by a lone Palestinian but also the lynching of an Eritrean refugee. KC failed to make even a cursory mention of the fact that an Eritrean refugee, guilty of nothing other than being in the despise category of refugee in Israel, (Israel doesn’t admit refugees as a matter of policy, they are called ‘infiltrators) was murdered. Shot by a security guard and then kicked and beaten until he died. Not one word of this lynching passed KC’s lips. ii. You say that ‘We talked about the attacks and the security measures being taken to counter them by Israel security agencies.’ That is indeed the problem. It is just a security situation, what is happening is simply a matter of individual criminality. There is no recognition that what is happening is a reaction, on an individual level, to a harsh military occupation of the West Bank and Jerusalem, to say nothing of the nakedly racist treatment of Israel’s own Arab citizens. It’s just a situation of law and order, so the BBC avoids all context. It is a continuation of your bias against understanding. iii. The response to that part of my complaint relating to the suggestion that those who were killed were treated as being solely Israelis (i.e. Israeli Jews) is incomprehensible. You simply deny what is plain and evident from the transcript. Like Humpty Dumpty words mean what you want them to mean. The reference by JH and KC was solely to Israelis and yet most of the dead were Palestinians. So even at the most basic level it was wrong. There was no mention of Palestinians other than as attackers. Hence it would have been reasonable for viewers to conclude that the only people who were dead were Israeli Jews. In Jerusalem there are regular attacks by Jewish mobs on individual Palestinians led by groups such as Lehava, which target Arabs in ‘Jewish’ areas. Their favourite chant is ‘death to the Arabs’ [Mavet La’aravim] But this phenomenon has never been reported on by the BBC. Fadi Alloun is believed to have been targeted by just such a group and executed by the Police who only asked questions afterwards. There have been a number of other such shootings for example of an Arab woman in Afula bus shelter who it was later admitted had not been trying to stab anyone. Israeli Arab Woman Shot in Bus Station Not a Terrorist, Conclude Security Services http://www.haaretz.com/israel-news/1.682928 Of course since the BBC never seems to manage to report on such things they didn’t happen. It’s a vicious circle which maintains the constant bias that you indulge in. This is totally absurd. 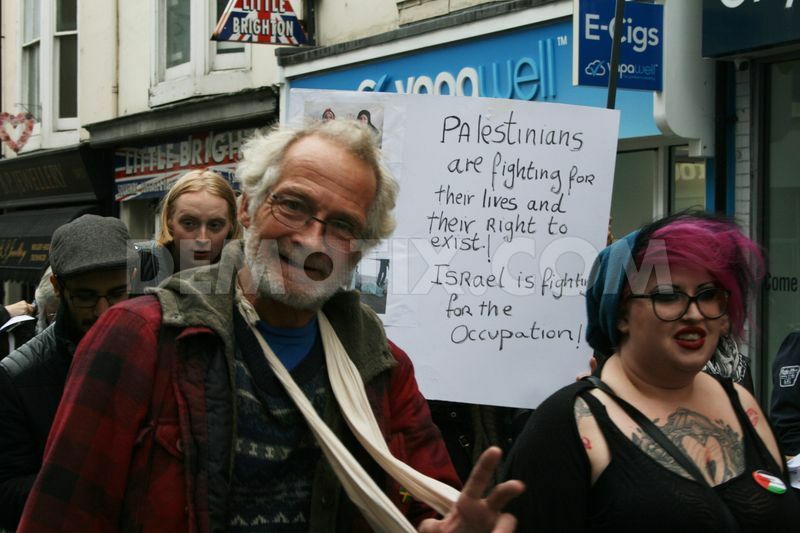 It is as if you have compartmentalised the knife attacks and associated violence on the one hand and the Occupation on the other, ne’er the twain do they meet. Are you really saying that it has never occurred to your correspondent in Israel, KC, that there might, just might, be a connection between the random violence of individual knife attacks and the fact of the Occupation? Does he not consider that the daily ritual humiliations of being harassed by the security forces, stopped at check points, subject to random violence by unaccountable border police, living in an uncertain situation where land confiscation takes place all around you, where your residency rights in Jerusalem can be withdrawn at a moments notice etc. etc. might just have some connection with the violence that arose? If KC really does not appreciate these things, perhaps you might consider transferring him to report on the Chelsea Flower Show? v. You talk about how ‘this subject inspires real passion on both sides’. That is a convenient way of dismissing a complaint but my concern is not passion but accuracy or the lack of it and now dissembling by the Today team. vi. You also state that ‘we remain committed to impartial reporting on all controversial issues’. RT and Al Jazeera have reported tonight on the attacks on Palestinian and Lebanese journalists by the Israeli para military Border Police. Nothing on BBC. 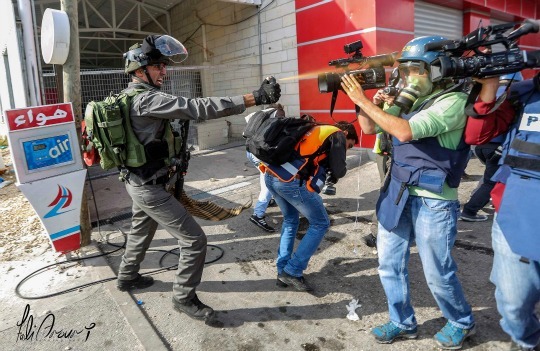 No doubt if Israeli journalists were being attacked in an Arab country, it would be headline news. Bias by omission is another facet of your coverage. Your commitment to reporting on all controversial issues is therefore just a pious statement of intent rather than an established practice. I therefore do not find your handling to date of the complaint as satisfactory. 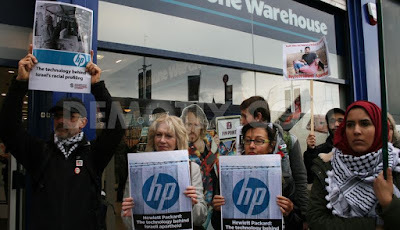 I also made a complaint today against the fact that Danny Cohen, one of the most senior BBC Executives, had signed a letter in the Guardian last week which opposed the Cultural Boycott of Israel. Couple this with the complaint of former BBC Chairman Lord Grade Ex-BBC chairman Lord Grade attacks corporation over Israel coverage that the BBC is too sympathetic (!) 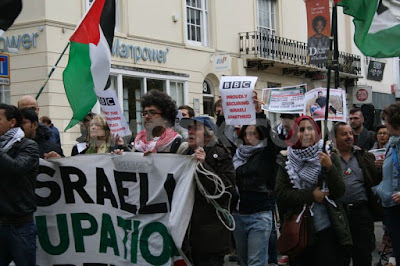 to the Palestinians and one gets a measure of the institutional and systematic bias in favour of Zionism and the Israeli State that exists in the BBC. On Thursday 22nd October a letter headed Israel needs cultural bridges, not boycotts appeared in the Guardian. One of the signatories to this letter was a certain Danny Cohen, the BBC’s Director of Television. 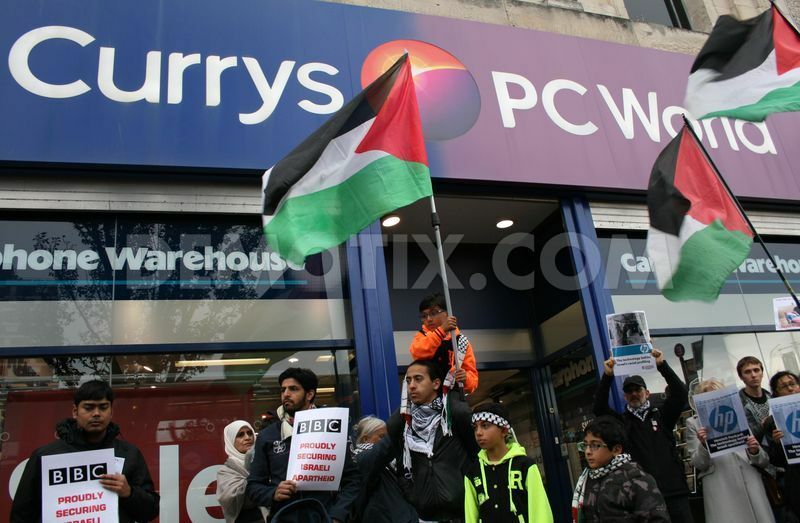 Mr Cohen was one of 150 people calling for Israel to be protected from cultural boycotts. Cohen joined senior figures from the Conservative Friends of Israel, 13 of whose officers and members signed it, and one from the Labour Friends of Israel. 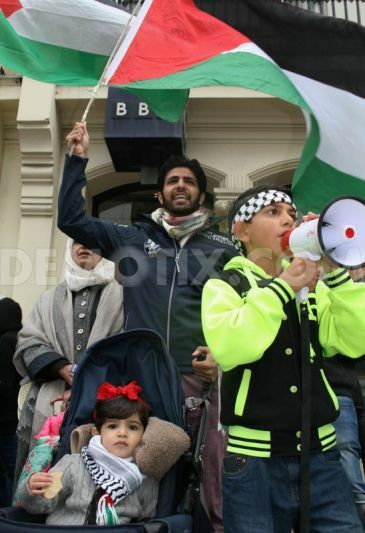 Unsurprisingly, there were no pro-Palestinian MPs among the signatories. 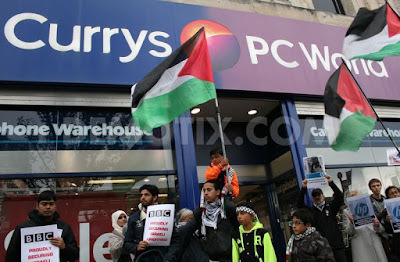 The letter claimed that “Cultural boycotts singling out Israel are divisive and discriminatory” and goes on to call for “cultural engagement” in place of boycotts. Perhaps if the BBC were to fairly cover Israel’s behaviour in the Occupied Territories, East Jerusalem or indeed inside Israel itself, you would soon be aware of what discrimination really means. There is of course nothing new in this. Throughout the period of the cultural Boycott against South Africa, the BBC consistently supported Margaret Thatcher’s policy of ‘constructive engagement’. 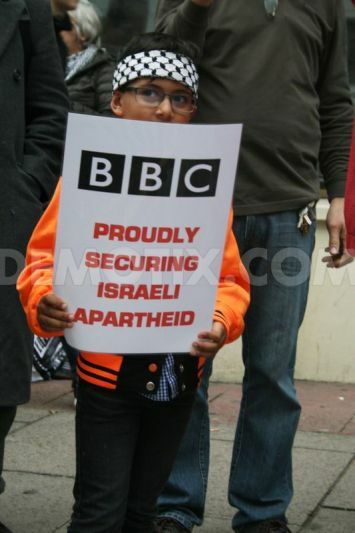 We expect nothing better from the BBC, which was born in the womb of the state. Nonetheless you have a formal legal obligation to be neutral and it is that which you are in persistent breach of. Cohen is a member of the BBC’s executive board and one of the most senior figures in the organisation. His role within the BBC demands neutrality and yet he has publicly made known his support for Israel and its Apartheid policies and practices. Cohen has so far faced no public censure from the BBC Trust for his behaviour. I am therefore writing to you to ask whether or not you intend to take any action against him. Cohen is not just another employee of the BBC. He has huge influence within the organisation, overseeing the BBC’s four main channels, in addition to BBC iPlayer, and online content for BBC Television. He also oversees the Drama, Entertainment, Knowledge and Comedy genres and BBC Films. Further responsibilities include the BBC Television archive and BBC Productions, Europe’s largest television production group.